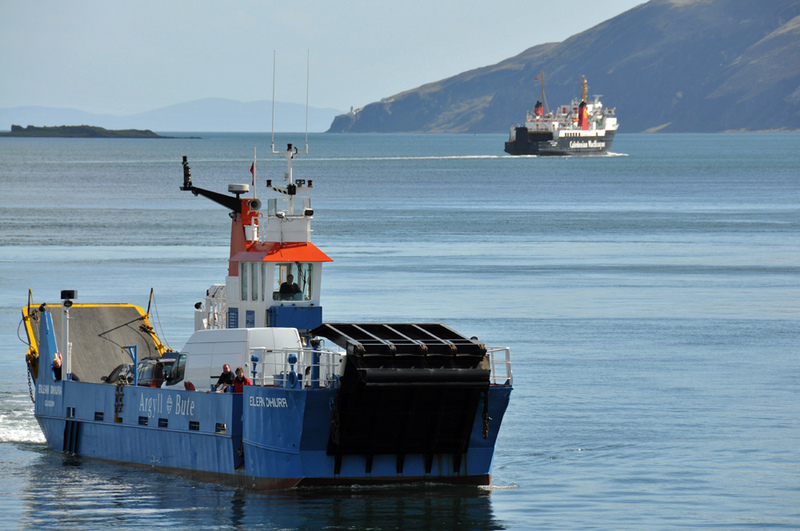 In front the MV Eilean Dhura, as the name indicates the Jura ferry. In the distance the Isle of Arran, contrary to her name once one of the two Islay ferries. Also visible in the distance McArthur’s Head lighthouse. This entry was posted in Landscape, Lighthouses, Repost, Sunny Weather and tagged ferry, Islay, McArthurs Head, MV Eilean Dhiura, MV Isle of Arran, Port Askaig by Armin Grewe. Bookmark the permalink. Thanks John, they just lined up perfectly for me.